creative index is now union shore: wrap it up! It's that time of the year! Time to start wrapping all those presents! One of my favorite things about Christmas is gift wrapping. I know a lot of people dread the task, but I get so much joy out of making them look nice and pretty. So grab your supplies and get going! 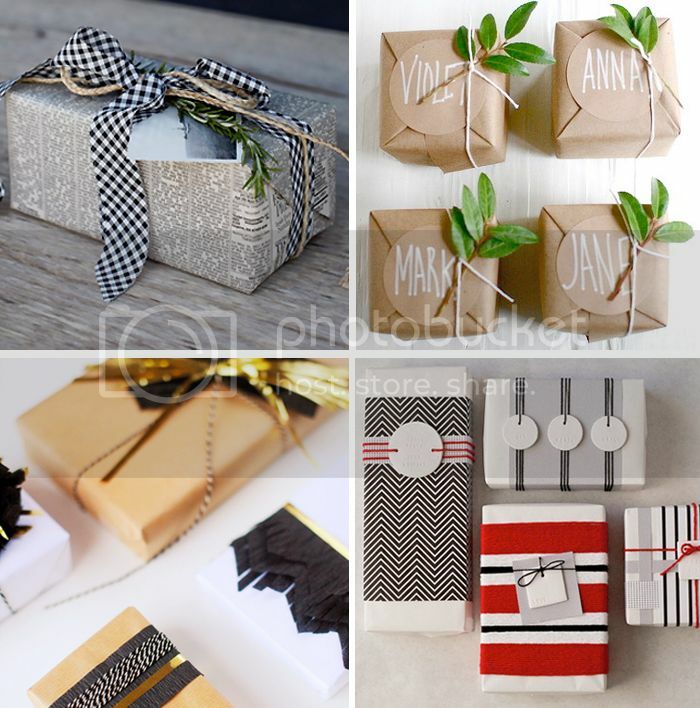 Do you have any favorite gift wrapping ideas? Oh man these are so gorgeous. And looking at them just makes me feel inadequate because mine would never ever look this good. Haha. Love these pretty ideas. I'm normally terrible at gift-wrapping, but this year I'm looking to put a little extra effort into it. And I agree with Emily - I like the idea of using newspaper and dressing it up with bows and ribbons. 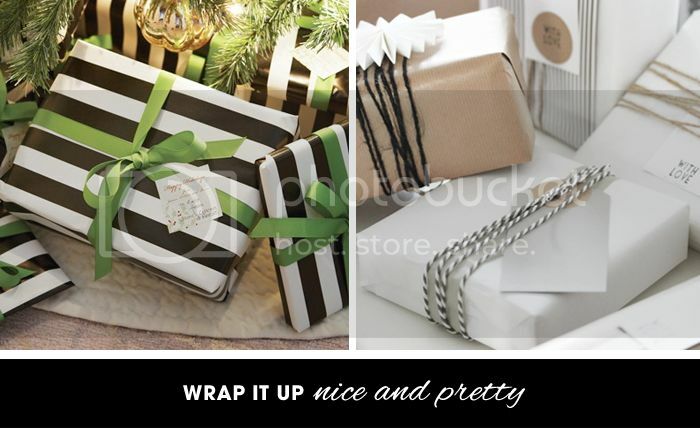 Wow, beautiful wrapping ideas. Do you know where I can get this brown paper? The Remembrall ,xo. those are gorgeous! I am seriously loving the one on the bottom right... so pretty! I am saving this post for next year. I didn't have that many presents to wrap and the ones that I did wrap, I made little pom poms for them.